Park Young Sook is one of South Korea's leading ceramic artists. She is particularly known for her work in white porcelain, which is infused with her deep awareness of and compassion for Korea's ceramic heritage. 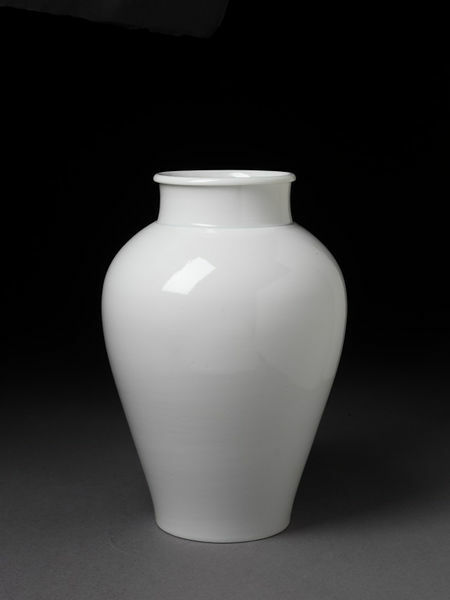 Her elegant white ceramics recall the pure white ceramics produced in the Choson period in Korea (1392-1910). The influence of Confucian ideals at this time promoted a restrained aesthetic in which pure white ceramics found favour. While her work looks back to the richness of Korea's ceramic tradition, this is balanced by her own desire to produce pieces that are made to be used and enjoyed within contemporary spaces. This elegant vase achieves exactly this ideal. 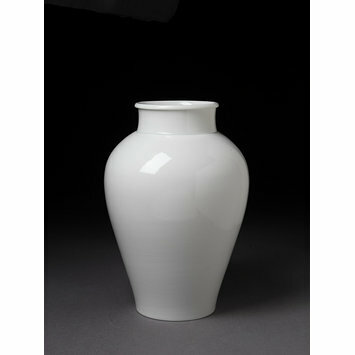 Baluster vase in white porcelain. Curved profile broadest at shoulders with short near-cylindrical neck with out-turned lip.